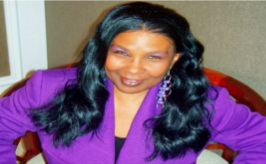 Apostle Denise Bundick-Keller is the Senior Apostle of Dominion Churches International & Dominion Ministries International, Atlanta GA. She is also the Founder and CEO of Dominion School of the Prophetics, Kingdom Daughters Ministry, and the author of ‘Ward of the State Prophets, The Importance of Mentorship and Connection’. Apostle Keller gave her life to the Lord at the early age of 13 and heard the call of God to preach the Gospel at age 21. Since accepting God’s call, she has served the Church of the Lord Jesus as House Prophet, Associate Pastor, Senior Pastor and now, as an apostle to the Body of Christ. She has a deep desire to see the Church come into the fullness of their inheritance in Christ. She has travelled extensively as a retreat and conference speaker, ministering to Senior Leaders and lay members alike. Apostle Keller is an anointed psalmist who flows heavily in prophetic song and will many times sing the Word of the Lord to those He gives her to minister to. Her strong teaching anointing imparts a solid biblical foundation to the prophets of God within the Body of Christ and to those under her tutelage. Apostle Keller is not only a teacher and preacher of the Word of God, but she is also strong in the ministry of intercession and mandated and called to impact young people in the public school systems across the country, teaching and training them in intercessory prayer. Apostle Keller is widowed and has three children and six grandchildren who are all the joy of her life. In the beginning of this year, several Apostles spoke into the lives of God's people through the event I hosted called "The Mind of God Through His Apostolic Voices." So many of you were on those calls and have testified that the Lord truly did speak through His apostolic voices. Those of us who understand, know that one of the anointings of the apostle is to move every hindrance that prevents God's true prophets from speaking the things that God wants us to hear, as they are His mouthpieces. Coming by way of teleconference again - I will be hosting another time of listening so that we hear those anointed to speak the mind of God which will be through His true, called out, anointed Prophets. The time is 6PM Pacific Time, 7PM Mountain Time, 8PM Central Time, 9PM EST.